Many of our Catholic schools are blessed to have their curriculums enhanced by the priests serving in their parishes and/or schools. At St. Joseph’s School in Endicott, students received a special lesson in both vocations and the Spanish language when Fr. Amedeo Guida, parochial vicar at St. James Parish, visited the 7th and 8th grade Spanish class. Fr. Amedeo, who also serves in the Spanish Apostolate Ministry in the Southern Tier, spoke to the students in Spanish about his own vocation experience. 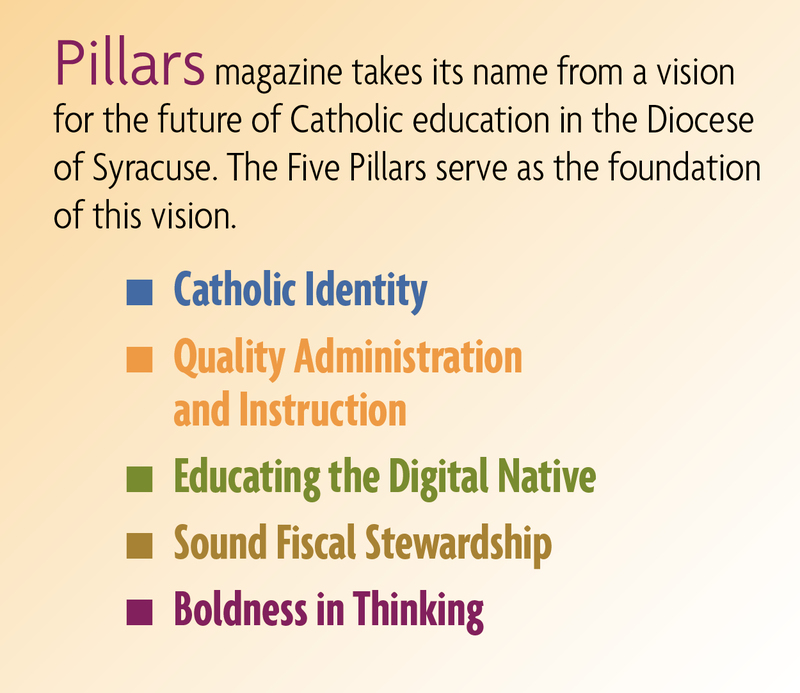 The students at St. Patrick’s School in Oneida like to celebrate! Recently, the students surprised Fr. Richard Kapral, the school’s host pastor, with a popsicle birthday party. The students also gave him a spiritual bouquet and sang to him. Fr. Kapral is pastor of St. Patrick’s Parish and St. Joseph’s Parish, Oneida. At St. Margaret’s School in Mattydale, fifth grade students get up close and personal with the Sacrament of Baptism, as Fr. 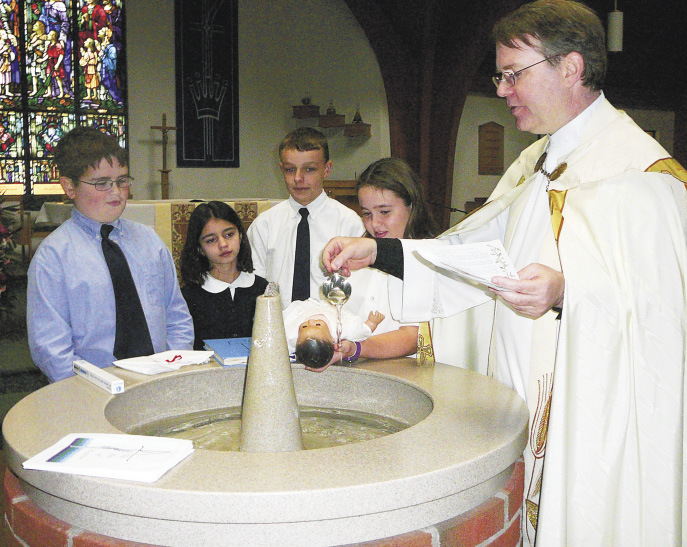 Robert Hyde, pastor, holds an “authentic” Rite of Baptism, from beginning to end, complete with students acting in the roles of parents and Godparents. “This is a moving activity that offers the students a more indepth, personal understanding of the sacrament,” said Principal Susanne Donze. Students at St. Margaret’s School in Mattydale learn about the Rite of Baptism by role playing with Fr. Robert Hyde, pastor.